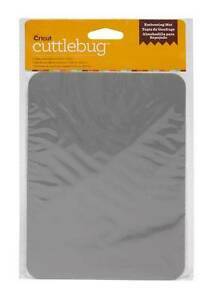 Provo Craft Cuttlebug Rubber Embossing Mat 5.25"X9"
this is just perfect for my cricket machine for embossing and die cutting!!! Happy with the order. Product is good quality.